Three of my crime novels are set in December, FATAL CATCH number 12 in the DI Andy Horton crime series, THE SUFFOCATING SEA number 3 in the Inspector Andy Horton police procedural series and one of my standalone crime thriller novels IN COLD DAYLIGHT. Here's a look at what's in store for Andy Horton in THE SUFFOCATING SEA. December 17 a body on a burning boat in Horsea Marine, Portsmouth, England. DI Horton and Sergeant Cantelli are called out to investigate. As soon as Horton arrives he experiences a premonition so strong that it’s almost audible. As he views the charred remains of the dead man he knows instinctively that this investigation will be like no other and he's right because in this case he is forced to confront the past, not just the victim’s, but the mystery surrounding his mother’s disappearance when he was ten years old, thirty years ago. 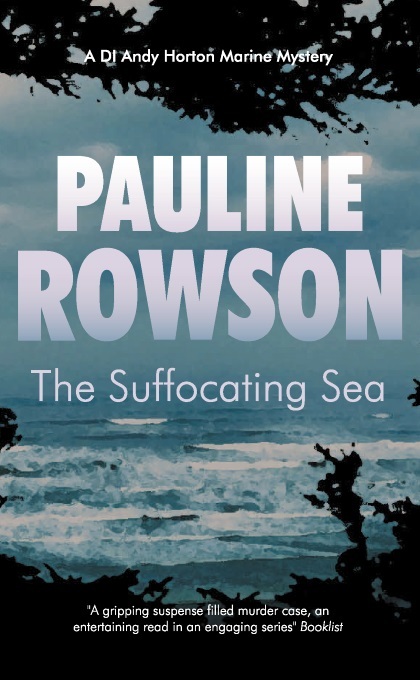 The Suffocating Sea was selected by the Book Depository as "'The Best of British Crime Fiction." It was also hailed by Booklist in the USA as "A gripping, suspense-filled murder case...an entertaining read in an engaging series..."
The blue pulsating lights of the fire engines radiated out of the dense freezing fog like revolving spotlights on a stage as Sergeant Cantelli swung into the car park at Horsea Marina. Inspector Andy Horton shivered. A cold, clammy feeling fingered its way up his spine. He’d been to hundreds of fires in his career, and had seen burnt and shrivelled corpses before. This was no different, he told himself, yet instinctively he knew it was. The fog and smoke curled together like a snake and seemed to ooze their way inside the car, bringing with them the smell of danger and death. They clawed at his throat making it hard for him to catch his breath. A premonition so strong that it was almost audible was urging him to turn back and leave this to others, but it was too late for that. Cantelli was already drawing to a halt in front of the police vehicle straddling the fire engines. Beyond, somewhere on the pontoon, thought Horton, was a burning boat and inside it a charred corpse. The DI Andy Horton crime novels in order. Available in paperback, as an ebook, on Amazon Kindle and Kobo and as an unabridged audio book. Also available for loan from UK, USA and Commonwealth Libraries.